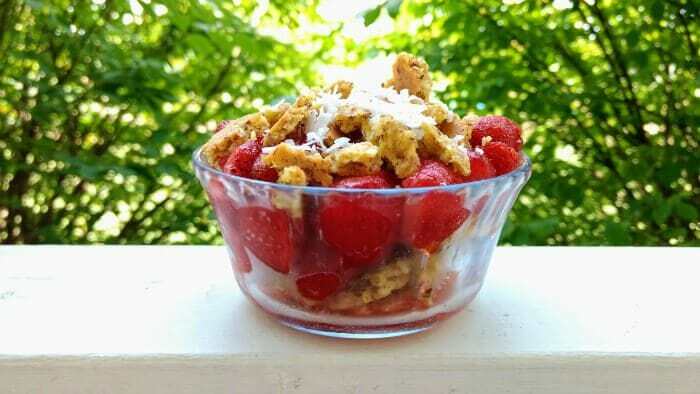 Layered Low Carb Strawberry Crisp - Healthy and Easy! This low carb crisp recipe contains a yummy crisp layered with strawberries and topped with coconut flakes. 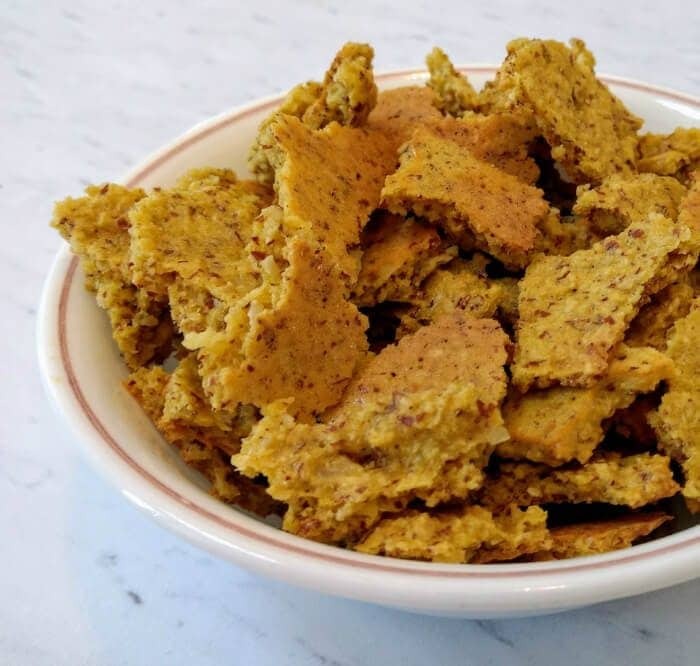 Makes a great sugar-free breakfast, dessert, or snack! That beauty—Low Carb Layered Strawberry Crisp—makes a great dessert, breakfast, or snack. She’s low carb, sugar-free (sweetened only with stevia), gluten-free, and dairy-free. What’s not to like? Make my Vanilla Roasted Strawberries recipe. Thaw strawberries that have been frozen. Both options will give you enough juice to soak the crisp and make it taste soooo good. Combine the almond flour, shredded coconut, and stevia in a bowl. Combine the wet ingredients in a separate bowl and then add them to the dry ingredients. Mix until combined. Spread the mixture in a thin layer on a non-stick cookie sheet or one covered with a silicone baking mat. Cook at 375 degrees for 15 minutes. Let the crisp cool and then break into small pieces. In a small serving dish, layer the crisp and strawberries in their own juice. Top with shredded coconut if desired. 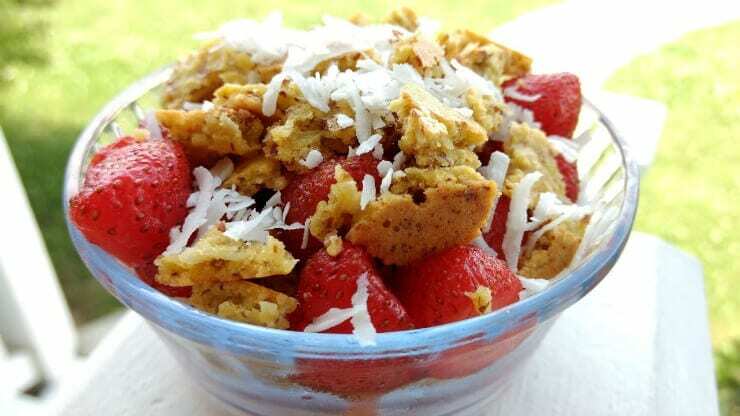 FYI, the entire low carb crisp recipe contains 35 grams of carbs (strawberries and shredded coconut topping not included in that calculation). 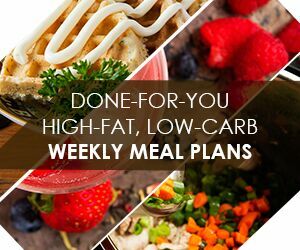 Make the Keto Diet Super Easy With Done-for-You Meal Plans! If you like this recipe, you’ll love the Balanced Keto Meal Plans put out by Leanne of Healthful Pursuit. 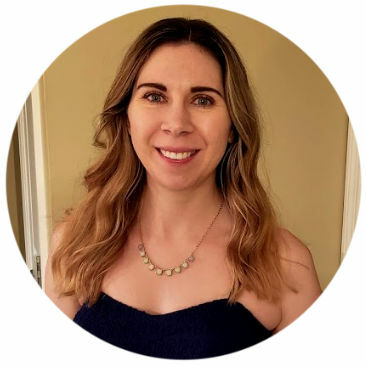 She’s a nutrition educator and keto enthusiast, and her meal plans are top notch! 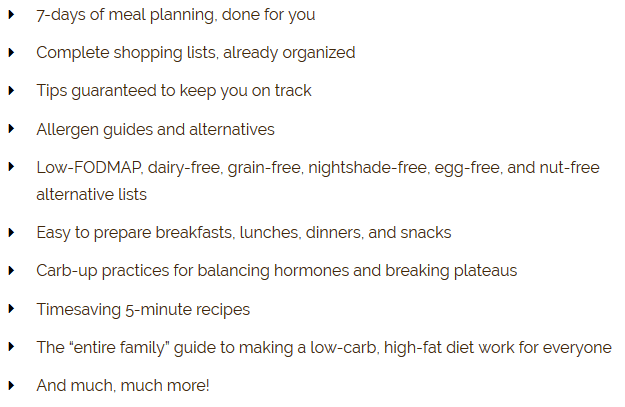 Learn more about Balanced Keto Meal Plans here! 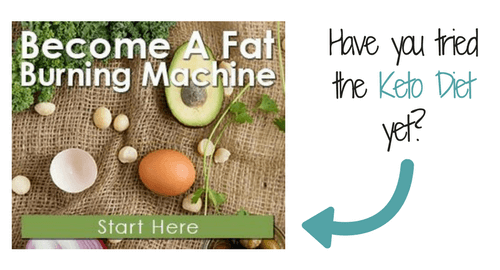 Keto on a Budget: 7 Money-Saving Hacks!